Cherry Tree Bed & Breakfast is a stunning 4 Star tourism graded guesthouse, offering self catering business accommodation, minutes away from OR Tambo International Airport just outside Johannesburg. Guests at Cherry Tree Bed & Breakfast can be assured of a relaxed, comfortable stay, and receiving personal attention in this upmarket setting. 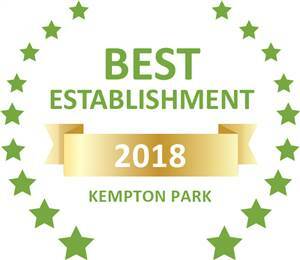 Based on reviews of establishments, Cherry Tree B&B has been voted Best Establishment in Kempton Park for 2018.